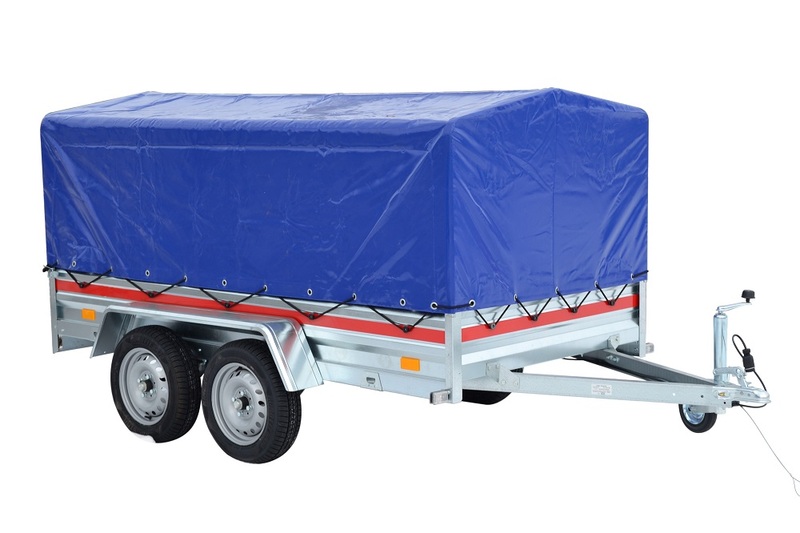 Tandem trailers are one of the major types of trailers which have become popular currently. They are most suitable for anyone who is looking to haul heavy loads on their trips. These trailers are equipped with a set of wheels on both sides and help in equal distribution of the load across the trailer. They provide extra stability to the load and are in general safer. There are a number of things that need to be kept in mind while purchasing a tandem trailer. This includes factors such as the quality and strength of the chassis, as well as the quality of the spring hangers. All of such important factors have been discussed below. Travel Routes: Tandem trailers are generally more stable and safer than the general single axle trailers. Therefore, they are more suitable towards travelers looking to take the highway for the most part of their journeys. Since the excess stability at higher speeds and increased safety comes with a higher cost and bigger size, buying a tandem trailer is most suited to frequent and long travels on the highway. Suspension: Tandem trailers are designed to handle heavy weight. So, they come with much better quality and heavy-duty suspension which allows them to provide a much smoother ride than single trailers which carry a heavy load. This prevents any chance of damage to the load being carried as well as improved general safety. Type Of Load: Tandem trailers are most suitable to carry heavy loads, specifically that above 750kg, up to 2000kg. Also carrying this type of heavy loads means that they are equipped with breaks, which provides them with additional stability and safety factor. Therefore, while selecting tandem trailers, the weight of the load is a very important factor. Better Safety With Tyre Puncture: Tyre puncture events are less worrisome with tandem trailers and are less likely to cause any accidents. Also, flat tires can be easily changed, even without a tire Jack. Therefore, they are easier and more convenient to use on the road and provide increased safety. Initial Investment And Maintenance Costs: Tandem trailers cost more than an average single axle and cost more to maintain. However, since the weight is distributed better, the tire wear is less in tandem trailers, which lowers the investment behind new sets of tyres and tyre repairs. Therefore, economic factors are to be kept in mind before deciding on a tandem trailer to buy. Maneuverability: Another factor which is important while selecting a tandem trailer is noting the space available for parking of the trailer as well as the area available to maneuver the trailer. Tandem trailers are large in size and require an adequate amount of space in order to be parked. Therefore, they are suitable for areas which afford adequate space for parking and maneuvering the large sized trailer comfortably. Checking The Full DOT Certification: DOT or Department of Transport certified trailers are those which meet certain minimum quality criteria which ensures that the products produced are up to the standard quality. Therefore, before buying any tandem trailer, checking if it has a full DOT certification is a necessity. This certification is necessary to ensure value for money on top of the line products. Overall, tandem trailers are heavy duty trailers which come with 4 sets of wheels designed to handle the heaviest and toughest load one might need in their travels. They offer safer, smoother rides and provide excess protection to the load. Demolition Services for Residential and Commercial Projects Are Important- Do You Agree?